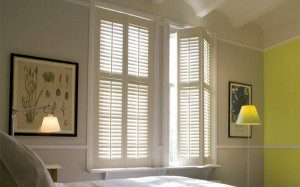 Surrey Blinds and Shutters are delighted to announce that we have opened a new showroom in Guildford. 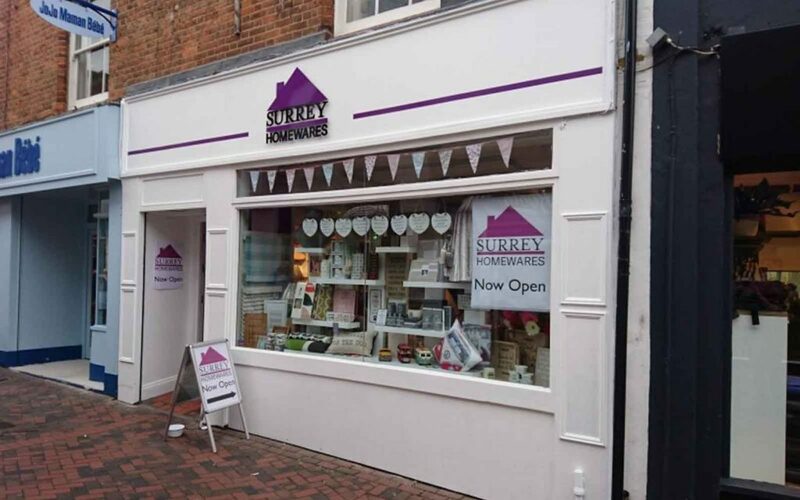 The Showroom is within the Surrey Homewares Store in Swan Lane. 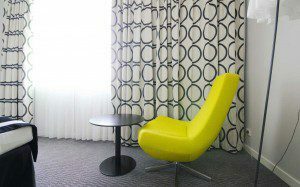 We have have a range of different Blinds, Shutter & Curtain options on display with some additional designer fabrics from Lotta Jansdotta and Orla Kiely. You can also book a FREE, No Obligation Quotation instore for us to come out and Measure for your new items, as always our prices will also include fitting of our made to measure items. We hear many stories when we visit Surrey homes about Burglaries they have experienced or know of locally. Offering advice on security in regards to Blinds and Shutters is part of our job, and as one of the team has worked for a company who sells other security products, we thought we would share some top tips picked up at briefings by the local crime prevention officer. Firstly, Burglars want to have an easy time as possible, so the important thing is to make your home an unattractive target. 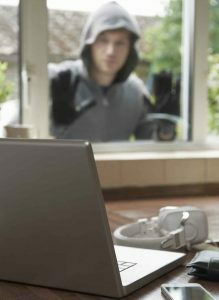 You are 5x more likely to be Burgled with no security measures in place. What valuables are they looking for ? If they are going to take the time and effort to break into your home that want to ensure a payoff. Ensure they can not see any valuables that you have in your home, but they may not just be the normal items you would feel have value. Data – A laptop hard drive may have more value than the laptop as it may give access to data that can be sold on and yet can fit in a Jacket pocket. Pictures – By taking personal items that have unique memories and cannot be replaced they may be able to demand a ransom. ID – Paperwork sitting on the top of a cabinet can be a real find, particularly if a passport or credit card can be obtained at the same time. Jewellery – Small portable wealth is easy to conceal and has a high value. Large items – They are not so interested in these as much as they are more obvious when leaving the area and more difficult to sell unless they are brand new. Hide all keys, including car keys, don’t hang these up on a key hook or use a lock box as they may just steel the box and open it at their convenience. Ensure side gates are in good order and kept locked to prevent access to the back where they may not be able to be seen. Make sure rear fencing is in good repair, often if the home backs on to unused common land it makes accessing your property much more discreet. Keep documents in a secure place and most importantly don’t leave items such as Credit cards and passports with them, the whole set is far more valuable than the individual items. Jewellery and passports should be properly stored in a safe or bank vault, definitely not in a shoebox in the bottom of the wardrobe. Put laptops out of site no matter its age, its not the laptop, its the data that has the real value. 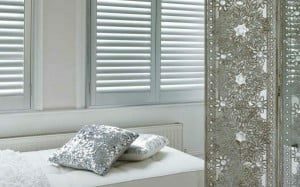 Blinds & Shutters – Fitting Blinds or Shutters that can be used to prevent burglars from being able to see into your home will help secure your valuables. If they can’t see anything of value then they may move onto another house where valuables are easily visible. Close Blinds and Shutters or at least adjust the slats so a clear view into your home can not be achieved to see if you, or your dog, are at home. Make their life difficult if they choose you ! Leave radios or lights on when you are out, preferably with a timer, dim-out blinds downstairs are ideal for this as its the glow of the light can be seen through the blinds, but you can’t see into your home. Install good outside lighting with movement sensors to highlight when someone is present. Keep ladders stored away or alternatively use a ladder storage bracket and a lock to prevent its use. Secure bikes by locking them in a shed or to a secure fixing point on your home, they are becoming increasingly valuable for parts and make a good way to getaway quickly. Tools should also be stored securely, there is no point in assisting them with equipment. Plants with thorns planted near low fences increase the difficulty of making over. Burglar alarms are a great idea but ensure their always set, a dusty alarm box can give the game away as they imply that it isn’t really used. Again these should be British Standards approved and alert the authorities. Remember, prevent them from picking you ! The feeling of violation when you return home to a ransacked house and the loss of sentiment items that you cherish is far more of an issue for most people than the cost of the items stolen, cost of repairing damage and the cost of time securing your financial affairs. On the 30th September we at Surrey Blinds are joining the Worlds Biggest Coffee Morning in aid of Macmillan Cancer Support. I first came across Macmillan Nurses when my step-gran was diagnosed with Cancer. 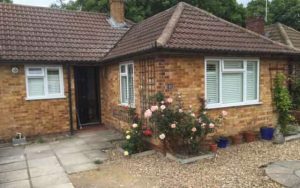 Although she had carers who would pop in twice a day, they were so limited for time she would hardly get a chance to breath, let alone talk, whilst they washed and dressed her for the day, or changed her for bed. When the Macmillan nurses came in they had time to chat to her and make sure that her mental health was being looked after as well as her physical health. This kind of support is only there because of donations from the public and fundraising events such as the coffee morning. 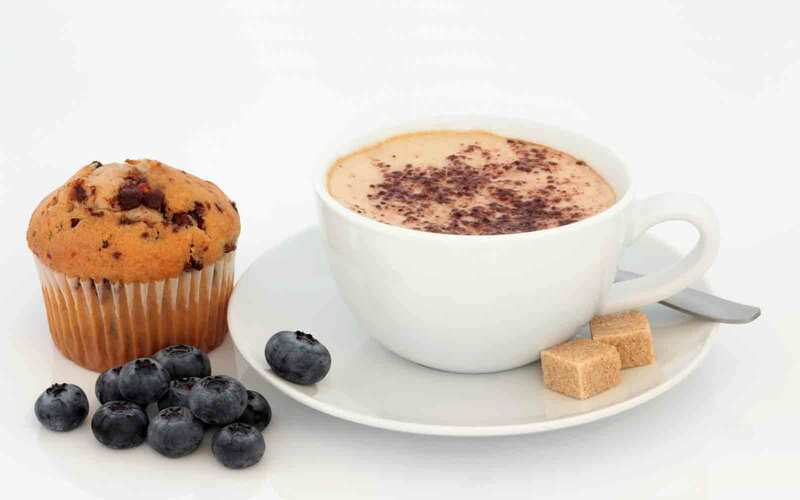 So, please come and join us for a cup of freshly ground coffee and a slice of delicious cake. All we ask is you make a small donation to keep the help and support Macmillan nurses give available to all who need it. 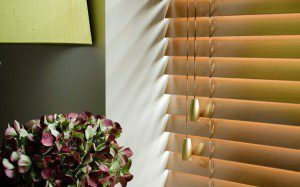 Perfect Fit blinds are an amazing ‘no screws necessary’ solution to window dressing. The Blinds are fitted close to the glass of the window or door, using brackets which are slotted behind the rubbers. The Blinds have a frame which houses the blind, holding it in place. These frames are available in a number of different colours including White, Brown, Golden Oak, Mahogany and the NEW Anthracite, making it easy to match the colour of your windows and door frames. It also covers the small gaps down the side of each blind, improving Privacy and insulation. Because the blind fits closely to the glass, it leaves the windowsills clear. An additional bonus is that they are Child Safe as the blinds are tensioned, removing any ugly cords or chains. Many people love the idea of having a conservatory, this extra space can be fantastically versatile and bright. However when the days are becoming warmer, these rooms can become so hot they can be uncomfortable and, in some extreme cases, unusable. The good news is there is a solution. Installing blinds with a Solar Reflective Coating (SRC) or Advanced Solar Control (ASC) will reflect solar radiation and reduce heat build up. 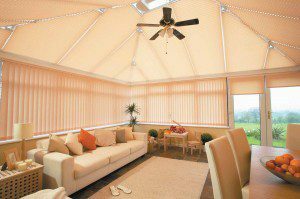 Some of the most popular types of conservatory blinds, including pleated blinds, roller blinds and vertical blinds are available with this coating. 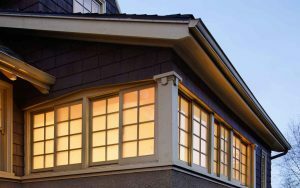 The blinds are manufactured with a highly reflective coating on the back which reflects heat before it enters your home. This reduces solar gain and, therefore, heat build up. 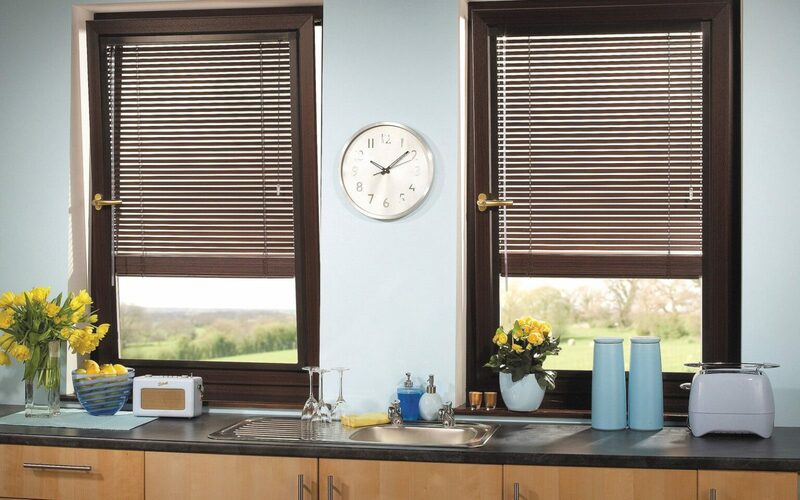 These blinds can also help to reduce the heat loss during the winter months, reducing heating bills too. At Surrey Blinds we have a huge range of blinds with Solar Reflective Coatings, and, with our team of expert installers, we can help you make the most of your conservatory all year round. 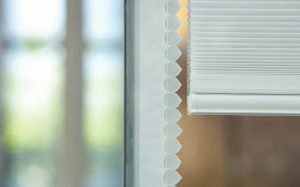 Motorisation – the future of blinds? The cost of motorisation has reduced substantially over the last few years and so it is fast becoming a popular option. In 2014 the legislation changed with regard to blind cords and child safety making Motorised blinds the ultimate in child safe design, and as the demand for them increases, the market is growing. Our entry range is a very cost effective motor which is simply plugged in to a standard plug socket. 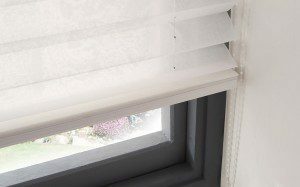 This blind is operated with a touch of a button on the sleek remote control, and can be housed in a pelmet headrail for a more luxurious look. If you don’t like the idea of any cords trailing down the walls, then perhaps one of our battery operated motorised blinds would work for you. We have a number of different options to choose from, including our highly popular lithium battery motor which simply requires recharging approximately every 600 operations, and our near silent battery operated blind, which is so quiet that if you couldn’t see it raising and lowering, you wouldn’t believe it was moving! 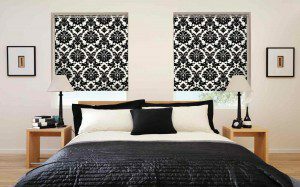 With our huge range of fabrics, including innovative laser cut voiles, bold patterns and more traditional designs, these blinds can be used in every room in your home. 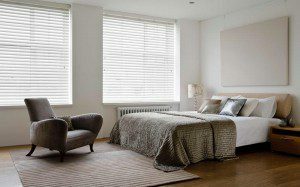 We also offer battery and mains powered wood venetian blinds so you can have light and privacy at the flick of a switch. 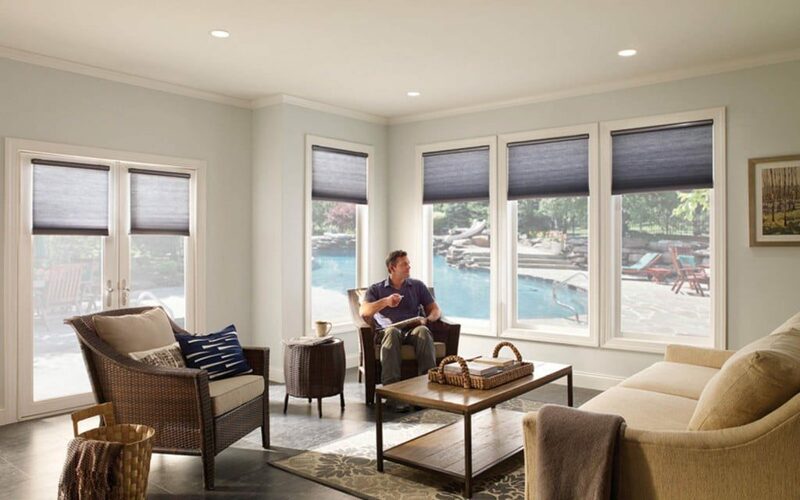 Depending on your preference you can raise and lower the blinds or just gently tilt the slats with a fine adjustment wheel on the remote control. Motorised pleated blinds are ideal for bright conservatories, they are a fantastic solution for opening and closing roof pleated blinds which can be difficult to access, and just pushing a button is much easier then the alternative of operating the blinds with a pole. Oh and we have multi channel remote controls which can operate more than one blind, and even timer controls, so that you can set your blinds to raise and lower even when you are not there. 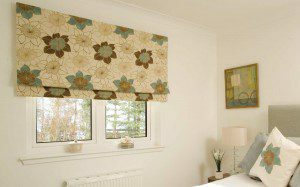 Motorised Roman Blinds add a little luxury to any room, as they raise and lower the pleats of the blinds fold gently into place. We would always recommend that Roman blinds are on placed where they can be accessed so they can be dressed if the fold is not even. 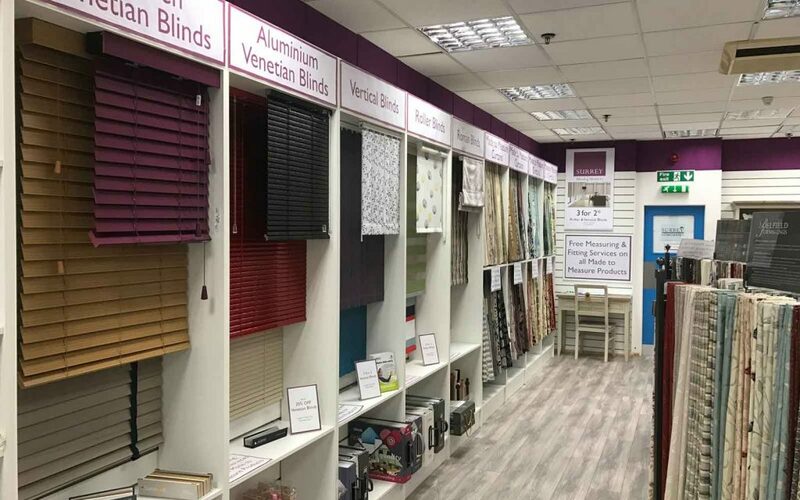 Why not pop into our Guildford showroom where you can see all of these blinds in operation and fully experience motorisation – the future of blinds.